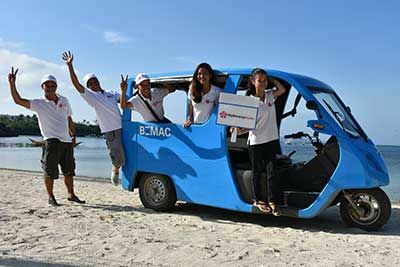 The most popular airport transportation option when arriving in Boracay. All fees are included such as Environmental Taxes, Terminal Fees, Boat Tickets and Shuttle Vans. Your personal logistical team will monitor your incoming flight and be waiting outside the Caticlan or Kalibo airport with sign in hand, ready to take you to your hotel or resort in Boracay. Bus from Kalibo airport to Caticlan Jetty Port is usually 1.5 hours. I would highly recommend booking your transportation with MyBoracayGuide. They help you with every aspect of getting from the airport to your hotel and back again at the end of your trip. They make everything so seamless. MBG was there at the airport when we got off the plane and escorted us to our air conditioned vehicle. They then took us to the port and took care of the tickets for us. They then escorted us onto the boat. Once we arrived on Boracay another MBG staff member greeted us at our boat and walked us to our transportation that brought us directly to our hotel. So nice not to have to worry about getting from the airport to the hotel. I\'d definitely book with MBG my next trip to Boracay! Both of our transports to and from our accommodations were excellent. 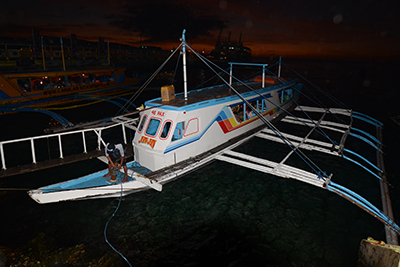 Made transport between the main land and Boracay stress free. Thank you. Worth every peso. Highly recommended. 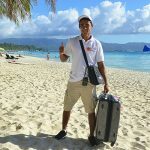 Glad that we have chosen myboracayguide because they will handle everything for you as we went there during a very peak season,with their help we really save a lot time.The staff are very polite and professional.Hassle free travel from Kalibo Airport - Caticlan Jetty Port - to our Hotel and vice versa. 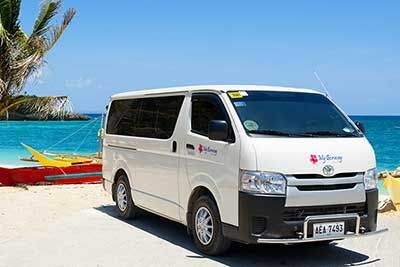 If you want a hassle-free, convenient and stress-free airport-hotel-airport transfers or transportation, book your MyBoracayGuide transportation now! A real value for your money! We are Glad to have chosen MyBoracayGuide. Everything went smoothly from pickup at the airport to our resort in Boracay. With them you need not worry about what and where to go. They are well organise and have a guide to take care of everything for you. We are happy with our choice. The transfer is organaised very well. Beautiful Ara met us at the airport haolding a table with my name on it. Kindly guided us to the transport and assisted with a purcashe of a local sim-card. The only thing was we were waited a bit longer while other passengers arrived to the transport. At the port other guys from MyBoracayGuide met us and helped to proceed through and get to the boat. After we finally reached Boracay where another guy guided us to our hotel. Apart of that reservation team was helpful with quick replies as well. Hassle free travel from Kalibo Airport - Caticlan Jetty Port - to our Hotel and vice versa. We don\'t need to fall in line just to buy our tickets in the jetty port. 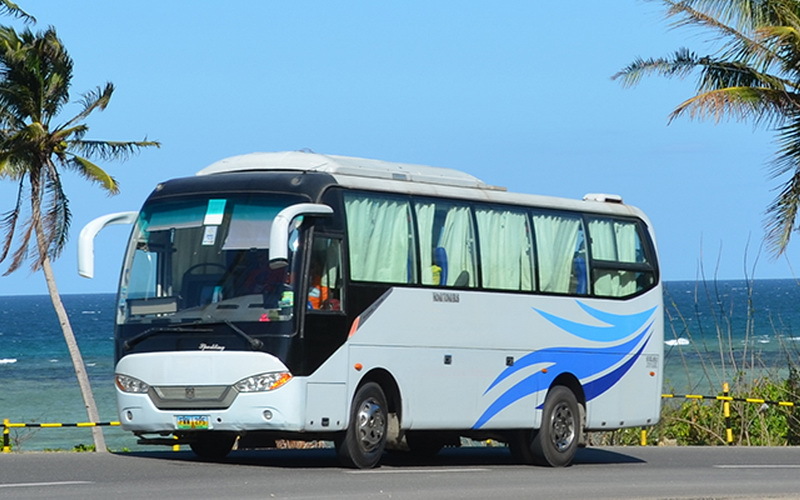 From the moment we arrived at the airport all the transfers were handled well and smoothly. For the first timers, it is very convenient to us. Thank you po! MyBoracayGuide was a huge help in our first trip to Boracay. They took care of everything and ensured that we were transported conveniently from the airport to the hotel and vice versa. Their staff are very prompt and you will never lose your way. Would hire them again the next time I\\\\\\\'m going. My husband an I were very happy with the efficiency of the service on both legs of our trip to Boracay from Kalibo. The vehicles were comfortable and the service staff were very helpful. My only feedback was that on the return trip, we were asked to leave our hotel at 8:30am in the morning for a 2:30pm flight. We arrived in Kalibo by 11:00am and were not allowed in to the airport (they only let us in at 12:30pm). Instead we had to wait and purchase items in a local restaurant so we could sit there (no a/c and poor bathroom facilities). I would have preferred to arrive closer to 12:30pm and have the time in the morning to enjoy our last hours in Boracay :) Regardless, we would still use this service again and just ask for a later pickup time. They will handle everything for you. Good job. I booked with my boracay guide and the trip was done very well i recommend this service to anyone! journey trip was made easier and everything is well coordinated. All good everything went smooth. Would recommend this to others because the price is affordable. The driver and services are really nice and friendly. The ride was on time. All the staff were very professional and helpful. With this service, our journey from Kalibo airport to our resort (and back) was made seamless. Thanks. To those planning to go to Boracay, I recommend that you choose MyBoracayGuide for your ground transfer. Amazing crew, they were right on time and assisted us personally. The service was no less than awesome. It made everything easy for us. I will definitely recommend your services to my friend. The service is on time, and they really tried to make it seamless. The assigned guide is at the airport arrival when we got there, and picked us up agead of time at the hotel lobby upon departure. It would have been better though if the guides helped get our luggages from the boat when we disembarked before getting on the shuttle to Caticlan airport, as my husband carried both our luggage. Other than that, all seems good. Excellent service. Seamless connecting service from the airport all the way to my hotel. All the staff involved are very friendly and polite. Highly recommended! Love it! They are waiting at arrival hall with holding a board which wrote my name. I just need to follow them all the way to hotel without worrying anything :) Nice service! They were really efficient and helpful! Seamless process from Kalibo airport to Boracay. I am very pleased with the prompt email reply. Also all the guides who picked up my family from Caticlan airport and back, especially Julian. Looking forward to visit Boracay again and use your service again! Such an efficient,friendly,professional and very reasonably priced.service.Highly recommended for the island pickup and hotel transfer. If this is your first time to Philippines I highly recommend this transfer! I like how the guides are so helpful and there will always be someone with you from the airport all the way to your hotel so you don\\\'t have to be afraid you will be lost. The transfer was seamless and efficient! In fact we had a special request to drop us off at Dmall instead of our hotel and the local operator even waited for us to finish dinner before putting us on a shuttle bus back to our hotel. He didn\'t have to do that but he went out of the way to do it! Definitely recommend this to everyone!! It was so comforting to land in an unfamiliar country and see a friendly face holding a sign with my name on it. Everything was easy and quick. We had no idea where to go or what to do, and our guides were friendly and helped us a great deal. We highly recommend MBG! 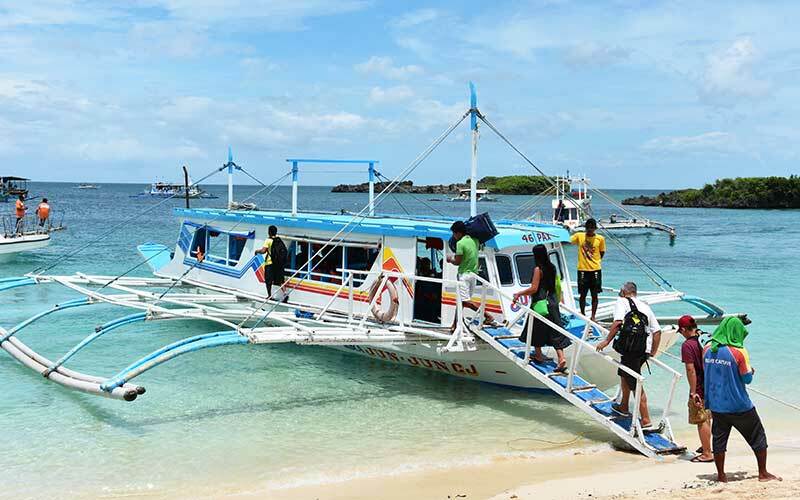 For someone who's not familiar with Boracay, this is simple the very best way to do the transfer from the airport to your location. It's very well organized. There will be a representative helping you through the process from the moment you step out of the airport. After that you won\'t have to worry about a thing until you hit check-in at your hotel. All cars had great AC, which can make all the difference. You'll skip lines along the way and they updated our return time to make for a more relaxed time when leaving.Very professional and caring staff. Do yourself a favor and use this service. 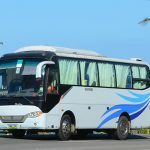 The transfer to and from Kalibo airport to hotel and back was fantastic and well arranged and managed by the staff, including e-mail reminder before every trip. 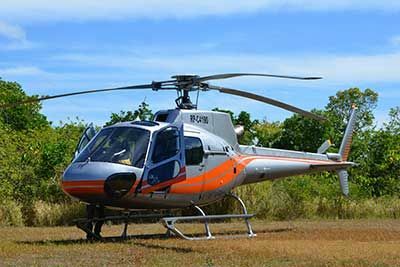 The island hopping tour was great with one staff attached to us for the entire activity and willingly answer our every question. The seafood lunch was also fantastic. Customer Service was first class. Well done and I will certainly go back to Boracay with "My BoracayGuide" or recommend friends going Borocay to try your service. I was so satisfied with the way they handle their clients. The team was well organized. We reached our hotel in a very efficient manner. Thanks to MyBoracayGuide team. 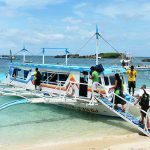 MyBoracayGuide made our journey from Caticlan to the island quick and stress-free. The terminal at the pier was packed and it would have been confusing to understand where to pay for the different fees you have to pay to get here. They also found our airbnb which was quite hard to find and one of the guides even followed us up to the apartment to assure that we got to the right place. Very friendly team and outstanding service :-) thanks guys! Off the plane, there are holding your English name of the staff waiting for you, the car is very comfortable, the transfer between the transport have staff to guide, very smooth. But there are people who help us to take luggage, thought it was connected to the company, but not, and will be the number of luggage with you to tip, this should be careful. But think about it, because the tip is really not much, it does not matter, some people take luggage, or more relaxed. Just wanted to say that your customer service was absolutely first class. Many thanks. Excellent service! The staff even accompanied us check in to the hotel! We had a good trip to Boracay thanks to you. We would like to book our return trip from Boracay to Kalibo with you. We have a flight on December 30 at 12 pm from Kalibo. Please advise us if you could help us with scheduling our drop from Boracay to Kalibo. I wanted to thank you so much for helping with our transfer from Kalibo to Boracay! The team is fabulous. I would like to thanks everyone from the airport, jetty and group on Boracay. Would just like to say thank you to all the staff at MyBoracayGuide as everything went smoothly and made our transfer to the island easy and stress free. Hello i just wanted to say today went extremely smooth from Benny meeting us at the airport and giving us information to the comfortable bus and banka boat transfer and to Brian being so amazing with gettig us settled in Boracay and the hotel. I cant wait to see them again on sunday for our depature. I am emailing now because i want you to know what warm and hospitable employees you have and to let you know that the service they delivered is why i will return and use your company as well as refer you to others! Great job! They made the start of this holiday amazing already! Usually a great service with no problems but this last trip I had to ask the people outside at the airport as the guide wasn\'t there straight away. Hello Thanks for your wonderful service. My transfer was seamless and your staff are really great. Hello MyBoracayGuide Team, Just want to thank you for the quality service you provided. Our vacation had been more than comfortable because of your assistance. Your guides are really polite and professional. Will definitely book with you next time I visit the island and recommend you to my friends. Thanks a lot and keep it up! it was quite nice to have transportation service from you guys. thanks for kindness and punctuality! I will! Looking forward to my trip :-) Please pass my thanks to all those who assisted me in my requests (accommodation adjustment and transportation arrangements). Appreciate the quick email responses and turnaround on the requests. Was very enjoyable, only issue was the arrival. Hotel staff at ground floor told borcayguide that the lift was down. End up my wife and I had to go up nearly 5 or more storey of stairs. My wife has a muscle disorder after climbing to our room she was in alot of pain . Upon reaching out room other hotel staff asked us why we didn\'t take the lift instead . Wasn\'t a good start to our vacation. We did however find the guide books given to us very useful. And our departure went smoothly. It was good. Efficient and seamless. Hello, We are now in boracay. Thank you very much to help us arrive in borocay in a very early time this morning The guys here are very friendly , and we have a safe trip during the night, thank you very much! Hi, I would just like to thank you and your crew for an outstanding service delivery from when I landed to the reception desk of my hotel in Boracay. They were efficient and informative! Please send me a link so that I can write your company a great review! This is my 2nd time booking with you, 1st was last march and this is our 2nd...as always your company was amazing and very accommodating. great service, met us at airport and helped guide us through the different check points from airport to ferry to hotel.